Dark Moon is a Sci-fi suspense thriller about a time in the near future when creatures from ancient legends emerge from hiding to help the surviving humans fight sinister alien invaders who have begun a ground invasion of New York City and cut down all in their path with lethal energy weapons. The story centers heavily on Raziel, the last remaining Werewolf as he is forced to begin turning the human soldiers that fall in battle in order to save their lives and rekindles his kind after centuries of near extinction. The storyline follows his ancient mind back, to bittersweet memories of his distant youth more than a thousand years before, where he had met his counterpart and soulmate Lupea, a Pure Born Werewolf like himself that he had lost to the savagery of the Wars of the Moon. As he turns an elite squad of soldiers, one by one into newborn Werewolves, his memories of her are rekindled and he is forced to feel the loss of her all over again. C.W. 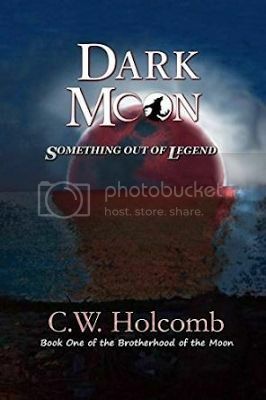 Holcomb's writing style and major influences include a wide variety of well known novelists that came before him including, J.R.R Tolkien, Mary Stewart, Raymond E. Feist, C.S. Lewis, Robert Jordan, Elizabeth Hayden and Frank Herbert. The biggest influences on his style were Terry Brooks and Terry Goodkind. 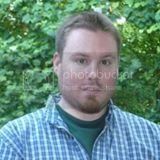 He has drawn inspiration for his novels from other areas as well including, animated shows and video games. His debut novel, Dark Moon Book one of the Brotherhood of the Moon, is inspired by ancient Celtic legends about Werebeasts that stalked the forests of the Scottish Highlands on the full moon. His newly released novel, Chaos:Worlds Beyond Book one of the Reflections of Infinity Saga is deeply inspired by Ancient Greek Mythology and Lore. His works contain endearing characters that always have something special and unique that helps them survive in the brutal and unrelenting Worlds that he creates.